4530 Standard Duty Deadlatches provide flexible traffic control during and after business hours. 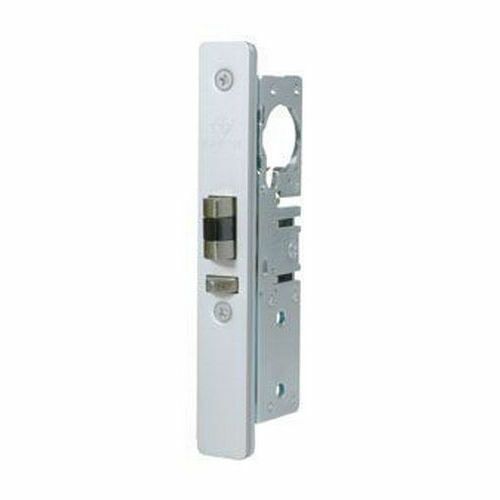 Designed to retrofit into the prep of older MS1850 Deadlocks and 4250 Deadlatches. 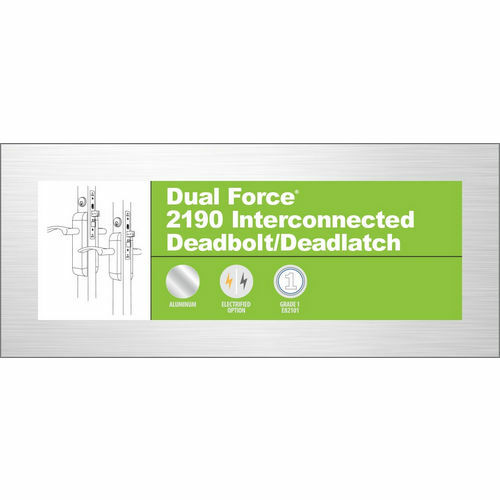 The 4530 Standard Duty Deadlatch offers flexibility of traffic control during and after business hours. A reverse turn of the key while the bolt is held retracted retains the bolt to allow two-way traffic for hospitals, banks, stores, and other buildings which require free entrance at certain times and exit-only at other times. 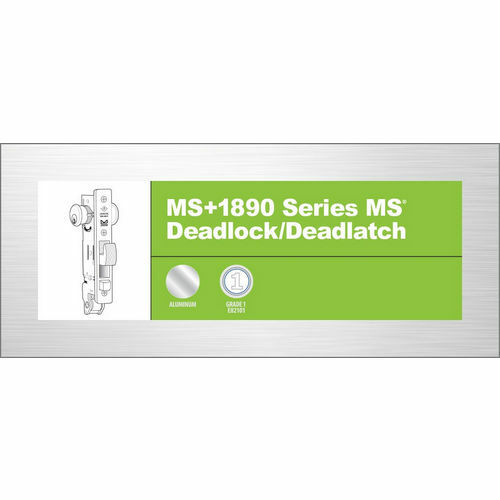 4530 Deadlatches are designed to fit without alteration, the stile cutout for older MS1850 Deadlocks and 4250 Deadlatches of same backset. Turn key or operate handle to retract spring-loaded latch bolt. To hold bolt retracted, push it in and secure by reverse turn of key. Uses any standard mortise cylinder with MS® dimensioned cam. Dead latches are the suitable solution to any door system that requires free operation from the interior at all times but access from the exterior only at certain times. Adams Rite has been working with commercial applications like these for decades and offers a range of dead latches to accommodate any situation. The Adams Rite electrified dead latch set It perfectly combines non-handed, narrow backset, mechanical locking hardware with electronic access control. The set can be used with a timer or operated manually. Other death latches range from the standard duty to the heavy duty death latch in American National Standards Institute (ANSI) size. The heavy duty deal latches are solid brass with a stainless steel auxiliary latchpin. The standard duty death latches feature hardened steel internal pins and an all metal auxiliary latchpin. All Adams Rite dead latches feature a bolt holdback feature that allows a reverse turn of the key to retain the bolt, allowing the door to operate as free swinging, typically during business hours. With a variety of sizes and trim packages, you will be able to get the right dead latch for any existing door or new door installation. We carry the Adams Rite line of electrical locks for aluminum doors and glass door locks because they are absolutely unsurpassed. Adams Rite dominates the market for aluminum door electromechanical locks and locking systems. The company introduced the Maximum Security lock in 1955, and it still remains a major choice for applications where it is suitable. Adams Rite has created numerous locks for this market since that time. Adams Rite is a subsidiary of ASSA ABLOY and shares that owner’s pedigree for outstanding products, service and innovation. We are very proud of our relationship with this company because they care about meeting your needs as much as we do. This care is evident in the RITE Door integrated door assembly. This remarkable product has been installed in healthcare, education and commercial applications because of it provides clean sight lines and low profile hardware. The innovation that is a company hallmark is evident in their line of products designed to covert aluminum and glass storefronts to electrified openings. This improves the safety and security of the business. Take some time and explore the electrical locks for aluminum doors and the glass door locks available through Adams Rite. You are certain to find what you need for any situation. Bolt: Bolt Holdback: While bolt is held fully retracted, a reverse turn of the key retains the bolt, allowing the door to be free swinging.Latchbolt: 1/2” x 1” x 1/2” throw. All metal with hardened steel internal pins. Handing is reversible without special tools.